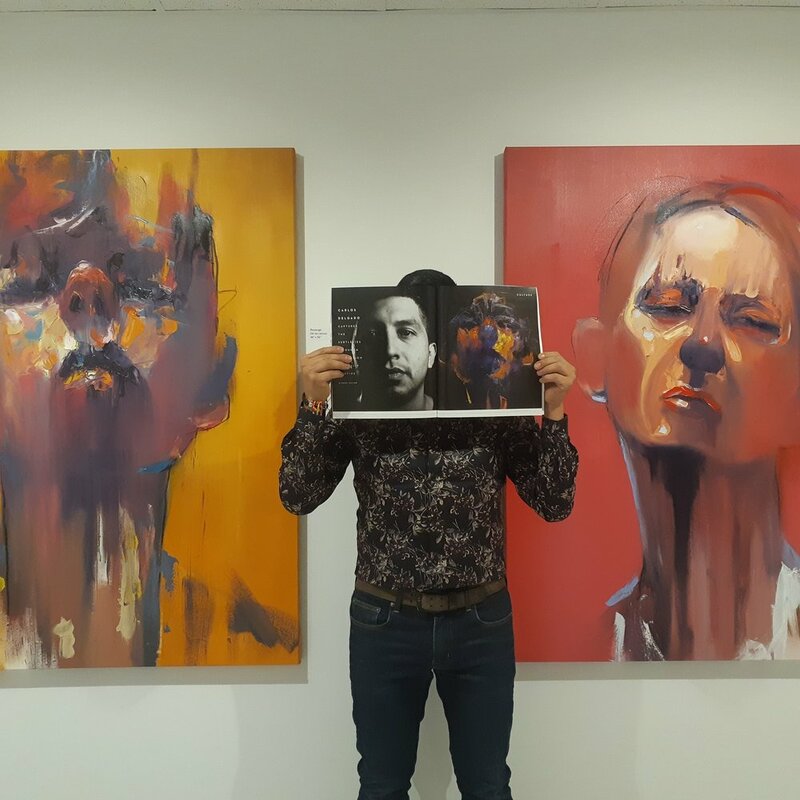 Carlos Delgado is a Colombian artist with international recognition living between Colombia and Canada. His works explore a multitude of expressions and ranges of human interaction with the environment, with each other and with the societal system. Focusing on capturing the subtleties of the tension of daily routine and a deeper human expression, his work becomes not only a social commentary but also a societal reflection of how we create the world around us and our role within it. I am fascinated by the way human beings express themselves and relate to one another within our modern systems. The environment that I am, including all of the cultural and social aspects, are the influences and the subjects of my work. Within these systems I try to find the human elements, those subtle expressions of our emotions, experiences and stories which make us unique and yet at the same time connect us to each other. Through my abstract portrait work, I focus on the subtle way these human experiences are expressed, be it in our facial gestures, in the way we occupy and share space with each other or the way we present ourselves to the world. My drawings and sketches are my instantaneous translations of the wide array of emotions around me. Be it the way someone looks in a particular direction, or the way they avoid eye contact in a public space. All of these are masks that we wear in public, masks which even though they may try, do not hide the complexity of our emotional human self. The sketches grab a particular emotion and look past the chaos of the mask and every day realities to find the emotional stories of the people around me. They are created fast and organically as to not loose any of the subtle self-expression shared through a look, a posture, a gesture, a glance. Translating these moments, I create abstract paintings, often times playing with the techniques of mark making with a palette knife and letting the paint organically form and interweave the different emotions we all have. The faces in the paintings are not one particular person, rather they are the emotional translation of the world around me, of many people in one, including myself. They are the reflection of the world we live in and at the same time relate to. The colour palettes are formed organically through a process of layering and reflect many states in any given moment. For example, a dark piece can at the same time seem sad and nostalgic as it can be hopeful and strong. Human emotion and the experience of that emotion is never manifested in one simple way, as such, the paintings and the drawings invite the the viewer to find their own story within it, allowing for a sense of relatedness. In a world where there is much disconnection from each other, where we co-exist together in same spaces and yet are not connected, my work hopes to connect us to those subtle experiences which make us all human.